AAEA supports beleaguered Illinois Governor Blagojevich's appointment of Roland Burris, left, to fill President-Elect Barack Obama's senate seat. Our main reason for supporting Mr. Burris is his environmental background. Burris was an attorney with the Peters law firm in Chicago, where he specialized in environmental, consumer affairs and estate law. As Attorney General, Burris ruled on many energy and environmental issues [e.g. zoning ordinance ruling] Burris is currently serving as CEO of Burris & Lebed Consulting, LLC, a consulting firm that lobbies the Illinois state government on behalf of corporate clients and trade associations. He has served as comptroller and attorney general of Illinois. "As Attorney General, Burris...won a record number of environmental cases." Dominion started running print and television ads that feature Fairfax County lineman Dennis McDade, left/right. The "Every Day" campaign reminds customers that the company will use a balanced mix of energy sources and conservation to ensure Virginia has the electricity needed to strengthen our area economy and keep businesses growing. The ads began appearing in December. Dominion is one of the nation's largest producers of energy, with an energy portfolio of about 26,500 megawatts of generation and 7,800 miles of natural gas transmission pipeline. Dominion also operates the nation's largest underground natural gas storage system with about 950 billion cubic feet of storage capacity and serves retail energy customers in 11 states. Dominion Energy, the company's electric power production and natural gas transportation and storage unit, includes two businesses: Dominion Generation and Dominion Transmission. Dominion Generation, based in Richmond, manages the company's regulated generating stations. Dominion Transmission, formerly CNG Transmission Corp., is based in Clarksburg, W.Va., and operates gas pipelines and North America's largest natural gas storage system. The company's unregulated generation is also part of Dominion Energy. AAEA President Norris McDonald has interacted with all of the recent EPA administrators. These interactions have ranged from meetings at the administrator's headquarters office in Washington, D.C. to activities out in the field. The meetings have ranged from the White House to national parks and have covered a wide range of environmental issues. So now that EPA is about to get a new administrator, we decided to take a look back at some of the other admistrator to assess their performance and their interactions with us. William Reilly, left, was EPA administrator from 1988 to 1992. He received a standing ovation from environmental justice activists from all over the country at his final meeting with them at EPA headquarters in 1992. He also created the EPA Office of Environmental Justice. Reilly received good reviews from the traditional environmental movement. Bill Reilly is a Harvard Law grad and served in the Army in the 1960's. He was president of the Conservation Foundation and the World Wildlife Fund. Reilly is currently affiliated with the Texas Pacific Group, a private equity firm based in Ft. Worth, Texas and he was a key player in the TXU leveraged buyout. AAEA salutes William K. Reilly for his excellent service as EPA administrator. 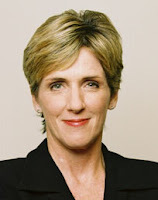 Carol Browner served as EPA administrator during Bill Clinton's entire eight year term. She is highly regarded by the mainstream environmental movement but was severely limited because environmental issues were not a priority of the Clinton adminstration. Although former Vice President Al Gore is applauded for his work since leaving the vice presidency, that adminstration is not remembered for its environmental initiatives. She has been selected by President-Elect Obama to be his Energy Czar, which is a hybrid that will somehow incorporate some of the functions of DOE, EPA and CEQ without needing confirmation from the U.S. Senate. Unfortunately, the Browner administration is stained by the Marsha Coleman-Adebayo v Browner episode whereby EPA was convicted of discrimination and fined $600,000 by a court. Congress, through the work of Dr. Adebayo passed a national law, the No FEAR Act of 2002, to address the situation throughout the federal government. AAEA is just disappointed that Browner completely ignors this episode. McDonald is pictured above right with former Department of the Interior Secretary Bruce Babbitt and Carol Browner in Kenilworth Park recognizing him for his work on the Anacostia River. Stephen Johnson, left, was a career EPA scientist who became EPA administrator under George W. Bush. Administrator Johnson gave us the courtesy of a meeting in his headquarters office in Washington, D.C. with just himself, an assistant and our president when he became administrator. The meeting covered a range of international, national, regional and local environmental and energy issues. Johnson is not highly regarded by the mainstream environmental movement. Under his watch, EPA sought to genearalize environmental justice by excluding race as a principle factor in its consideration at the agency. Sadly, Johnson allowed Dr. Coleman-Adebayo to be fired at the end of his term. Hopefully this will be corrected by the next administrator. Will The Brothers Buy The Cadillac Escalade Hybrid? Most blacks are not going to buy a Prius. Many blacks will buy a Cadillac Escalade if they can afford it. What to do if one is concerned about oil independence, global warming and auto jobs. Build a car that has the gas/electric hybrid qualities of a Prius while providing the status boosting size, power and style of an Escalade. Yet, Does it work? Will it work? Let's see. 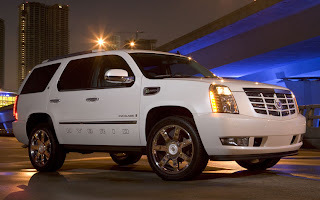 The 2009 Cadillac Escalade Hybrid gets a 20-miles per gallon combined fuel economy rating. That is about 5 mpg better than the regular Escalade. It has a 6.2 liter V8 engine, weighs 5,88 pounds and has a lithium-ion battery pack. It costs $73,000 compared to about $61,000 for the regular model. It appears there is more Escalade in the hybrid than Prius. Jobs and companies are on the line. President Bush authorized $13.4 billion from the $700 billion Troubled Asset Relief Program (TARP) as a bridge loan to GM and Chrysler to survive. President-Elect Barack Obama has designated Melody Barnes, right, to be the Director of the Domestic Policy Council (DPC). She received her law degree from the University of Michigan and her bachelor's degree from the University of North Carolina at Chapel Hill. Barnes served as chief counsel for Senator Edward M. Kennedy on the Senate Judiciary Committee from 1995 to 2003. The Domestic Policy Council coordinates the domestic policy-making process in the White House and offers policy advice to the President. The DPC also works to ensure that domestic policy initiatives are coordinated and consistent throughout federal agencies. Finally, the DPC monitors the implementation of domestic policy, and represents the President's priorities to other branches of government. The Domestic Policy Council’s formal membership includes the cabinet Secretaries and Administrators of federal agencies that affect the issues addressed by the DPC. 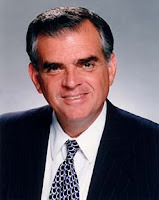 President-Elect Barack Obama has nominated Illinois Congressman Ray LaHood (R-IL) to be his Secretary of Transportation. He has a degree in education from Bradley University in Peoria, Illinois. The mission of the Department is to serve the United States by ensuring a fast, safe, efficient, accessible and convenient transportation system that meets our vital national interests and enhances the quality of life of the American people, today and into the future. The Department of Transportation was established by an act of Congress on October 15, 1966. The Department’s first official day of operation was April 1, 1967. DOT Agencies. DOT is responsible for administering Corporate Average Fuel Economy (CAFE-Chapter 329 Automobile Fuel Economy) standards and it is regulated through the National Highway Traffic Safety Administration (NHTSA). First enacted by Congress in 1975, the purpose of CAFE is to reduce energy consumption by increasing the fuel economy of cars and light trucks. Regulating CAFE is the responsibility of NHTSA and the Environmental Protection Agency (EPA). NHTSA sets fuel economy standards for cars and light trucks sold in the U.S.; EPA calculates the average fuel economy for each manufacturer. This site contains an immense amount of information about the CAFE program, including a program overview, related rulemaking activities, research, fleet characteristics and summaries of manufacturers’ fuel economy performance since 1978. President-Elect Barack Obama has nominated Shaun Donovan, right, to be his Secretary of the Department of Housing and Urban Development (HUD). Mr. Donovan was appointed Commissioner of the New York City Department of Housing Preservation and Development (HPD) in March 2004 by Mayor Michael R. Bloomberg. Before joining the Bloomberg administration, Mr. Donovan worked at Prudential Mortgage Capital Company as managing director of its FHA lending and affordable housing investments. He holds Masters degrees in Public Administration and Architecture from Harvard University. HUD's mission is to increase homeownership, support community development and increase access to affordable housing free from discrimination. Organization Chart. 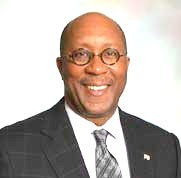 President-Elect Barack Obama has nominated former Dallas Mayor Ron Kirk to be his U.S. Trade Representative. He is currently a partner with the Houston-based law firm Vinson and Elkins and was one of the four highest paid lobbyists for Energy Future Holdings Corporation, the group created by Kohlberg Kravis Roberts, TPG Capital and Goldman Sachs to acquire TXU. [Wiki] He is a 1976 graduate of Austin College and received his J.D. from the University of Texas in 1979. Ron Kirk, 54 was mayor of Dallas from 1995 to 2001. Your corporation has been designated the "master custodian firm" overseeing the US Treasury Department's $700+ billion bailout fund. We are deeply saddened that you will divert much of this business to India by utilizing your India subsidiary. It is a betrayal of America at a very critical and vulnerable time. The Civil Rights Act of 1965 (Title VI and VII) forbids any business from discriminating in its business activity while contracting or doing business with the US federal government. We have reason to believe that your history may show a pattern of discrimination under both these titles. Thus, we are considering filing a formal complaint and possibly a lawsuit to have the above contractual arrangement annulled and your corporation banned from doing any other business with the federal government until you remedy the matter. Names, addresses and contract amounts for all Black owned American suppliers doing business with your firm. Names, addresses and contract amounts for all Black owned American subcontractors doing business with your firm. Names of all Black members of your Board of Directors and your Executive Committee. Names, titles of all Black senior executives and managers working for your firm. Numbers and percentages of the total for all other Black employees working for Bank of New York Mellon within the United States. Please have a sense of urgency in supplying this information as the pain and damage afflicted on America through your possession of this contract may be critical to the future of this nation. 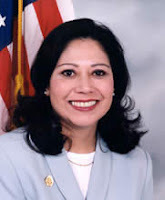 President Elect Barack Obama has selected Congresswoman Hilda Solis (D-CA) to be his Labor Secretary (DOL). Congresswoman Solis is a well known proponent of environmental justice and green jobs. Each session she introduces environmental justice legislation [Udall/Solis 1 , Udall Solis 2] to codify President Bill Clinton's Executive Order 12898. She has also championed the clean up of leaking underground storage tanks and partnered with Congressman John Dingell to request a General Accounting Office (GAO) report that showed the public cost of cleaning these tanks would be $12 billion and that these leaks are negatively impacting public health and our water supplies. The environmental justice community and the environmental movement in general are very happy with this pick. 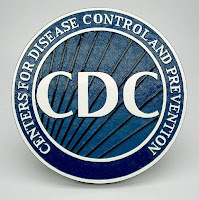 Collegiate Leaders in Environmental Health CDC invites qualified applicants to apply for a ten week summer program in Environmental Public Health at the National Center for Environmental Health /Agency for Toxic Substances and Disease Registry (NCEH/ATSDR) in Atlanta, Georgia. This is a full time summer opportunity for rising collegiate juniors and seniors to get real-world experience in Environmental Public Health activities at the federal level. Students will participate in individual projects and will be paired with mentors in order to gain valuable experience in the fascinating field of Environmental Public Health. Students majoring in environmental fields are encouraged to visit the CDC website to learn more about the internship, environmental health, and previous intern projects. Questions? Please email Cory Moore. Numerous Google inquiries are directing people to AAEA questioning whether CEQ Chairwoman-designee Nancy Sutley is Black. She is not African American. She is not Black. Her parents are Argentinian and we guess her pictures show some of that flavor [makes people think she is African American]. Of course, Black comes in many shades when it comes to designating people as such. The Los Angeles Times reports: "Sutley was raised in Queens, New York and is the daughter of immigrants from Argentina." President Elect Obama has generated much discussion about who is 'Black.' We accept the historical 'one drop' rule added to the person's self identification as being African American. The 'taxi cab test' can also establish the parameter for those who are dark but reject the label. Ah race. America really shocked the American Black Community by electing Barack Obama as president. Yet there are still black communities in virtually every city in the United States and AAEA will continue to try to educate the public about the serious and unique need to protect and clean up pollution in many of them. AAEA believes published reports quoting opponents of President Obama's EPA Administrator-designee Lisa P. Jackson include petty complaints that do not merit opposing her nomination. Moreover, New Jersey environmental groups and her colleagues at EPA give her high marks for trying to promote Brownfield redevelopments and global climate change mitigation. AAEA supports Lisa Jackson's nomination to be administrator of the U.S. EPA and will aggressively promote her confirmation in the U.S. Senate. 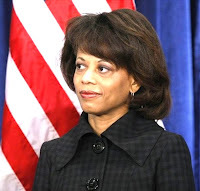 Some of the critics are evidently attempting to apply 'purist' standards to Ms. Jackson's performance when she was Commissioner of the New Jersey Department of Environmental Protection (NJDEP). They are criticizing her for 'being too close to industry,' being 'too slow' in implementing a proposed system to speed up the cleaning of New Jersey's abandoned toxic waste sites, outsourcing toxic site clean ups and chromium safety exposure levels. Yet there is nothing wrong with collaborating with industry groups for considering clean up strategies. The proposed clean up plan initiated by Ms. Jackson is projected to be completed in 2009 and complaints about polluting companies 'potentially' using their own subcontractors for clean up sounds sort of like 'polluter pays' to us. Her support of a chromium safety standard or 20 parts per million instead of 10 parts per million in order to lift a moratorium on development of chromium-contaminated land strikes us as reasonable and shows a motivation to get these sites cleaned up for Brownfields redevelopment. ConocoPhillips and Peabody Energy (CPPE) have selected a site in Muhlenberg County for developing Kentucky NewGas (KNG), a state-of-the-art energy center that will transform coal into clean natural gas. Kentucky NewGas would increase our domestic supply of natural gas by 60-70 billion cubic feet per year. Additionally, it would create tremendous economic benefits for the region, creating 1,200 skilled jobs during a four-year construction process, 500 long-term jobs and nearly $100 million in local and regional economic benefits each year. CPPE has submitted its application for an air permit to the state. 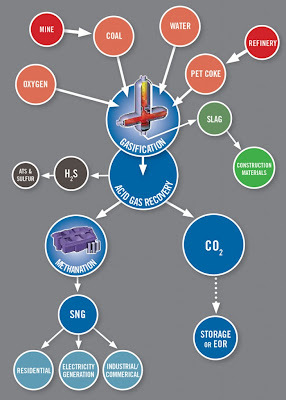 This state-of-the-art "mine-mouth" gasification project would use ConocoPhillips proprietary E-Gas technology to produce clean synthesis gas that is transformed into natural gas. Kentucky NewGas will meet regulatory standards to protect the environment, including adoption of low emissions design criteria. The companies are working with a diverse group of industry, academic, governmental and non-governmental organizations to advance development of a regulatory and legal framework that would make carbon storage viable and enable competitive project economics. AAEA supports the project. ConocoPhillips is an integrated energy company with interests around the world. Headquartered in Houston, Texas, the company has approximately 33,600 employees and $185 billion of assets. More information. President Elect Obama has nominated Stephen Chu to be his Secretary of Energy. Mr. Chu, 60, is best known for his 1997 Nobel Prize in Physics for research in laser cooling and trapping of atoms. He is currently the director of the Lawrence Berkeley National Laboratory. In addition to being a Nobel laureate physicist, Chu is also a Professor of Physics and Molecular and Cell Biology at the University of California (UC), Berkeley. Mr. Chu is a Chinese America and was was born in St. Louis, Missouri. Chu earned a Ph.D. in physics from the University of California at Berkeley in 1976. 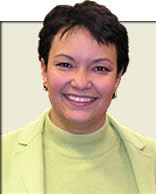 President Elect Barack Obama has nominated Nancy Sutley to be Chairwoman of the Council on Environmental Quality (CEQ). Ms. Sutley, 46, is currently the Deputy Mayor for Energy and the Environment for Los Angeles Mayor Antonio Villaraigosa. Ms. Sutley has developed wind and solar programs at the Department of Water and Power, an initiative to replace thousands of diesel trucks at the L.A./Long Beach ports with cleaner burning ones and supervised L.A.'s Million Trees planting program. She served at EPA during the Clinton administration. She also served in the California State EPA as an advisor to former Gov. Gray Davis, where she helped to draft a statewide policy on environmental justice. Sutley was raised in Queens, New York and has Argentinian ancestry. The CEQ coordinates federal environmental efforts and works closely with agencies and other White House offices in the development of environmental policies and initiatives. The Council's Chair is appointed by the President with the advice and consent of the Senate, serves as the principal environmental policy adviser to the President. In addition, CEQ reports annually to the President on the state of the environment; oversees federal agency implementation of the environmental impact assessment process; and acts as a referee when agencies disagree over the adequacy of such assessments. President Elect Barack Obama announced his 'Green Team' today at a press conference in Chicago. AAEA supports the president's nominees because we believe newly elected officials deserve their cabinet picks. We support the nomination of Stephen Chu as Secretary of the U.S. Department of Energy and will provide a statement at his Senate confirmation hearing. We support Lisa P. Jackson as EPA Administrator and will provide a statement at her Senate confirmation hearing. We support Nancy Sutley as the new Chairwoman of the President's Council on Environmental Quality (CEQ) and will provide a statement at her Senate confirmation hearing. AAEA is breaking with our automatic support though in the case of Carol Browner until and unless she resolves her past with Marsha Coleman-Adebayo. The Energy Czar position does not require Senate confirmation. The exact role and duties of the office have yet to be established. It is sad though that Dr. Adebayo was fired from EPA during the same month Browner is receiving a post as Energy Czar. Unfortunately, Ms. Browner set the termination in motion a decade ago. We hope an Administrator Lisa Jackson will provide an appropriate settlement for Dr. Adebayo and permanently close this chapter of EPA's history. There are many extremely important energy, climate change and environmental issues facing us and we will be engaged in the debate and activities in this area. However, when a dedicated employee's career is derailed and discrimination abuses are certified by the court and Congress, we have to draw a line [See No FEAR Act]. AAEA supports the Obama administration. We look forward to supporting and working with him to solve our nation's energy, environmental and climate change problems. 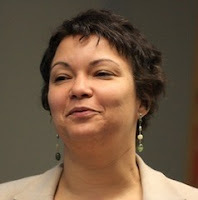 If confirmed by the U.S. Senate [AAEA will support the nomination], how will Lisa Jackson address environmental justice? For the uninitiated, it is the equal treatment of all people in regards to environmental issues. She will have a steep mountain to climb because the U.S. Environmental Protection Agency (EPA) neither has the tools nor the authority to enforce environmental justice. So Ms. Jackson will be woefully restricted in mitigating environmental injustice. For specifics, see the EJ Act of 2009 link below. AAEA has been working for several years to give Administrator [er] Ms. Jackson the tools she needs to make sure that all communities are treated equally when it comes to environmental protection. Of course, our challenge is to get legislation passed through Congress that will have some teeth. Each Congress, Congresswoman Hilda Solis (D-CA) and others introduce bills to basically codify President Clinton's Executive Order 12898. Yet it has no teeth. Other congressmen/women have been reluctant to exert their prerogotive over that of Congresswoman Solis who, by the way, is a longstanding champion of environmental justice. We intend to get the Environmental Justice Act of 2009 introduced and passed in the 111th Congress. The legislation has a carrot and a stick. It provides for the endorsement of nonpolluting projects while providing the specific litigation stick that is sometimes needed to protect vulnerable communities. AAEA has also adopted a 21st Century version of the Principles of Environmental Justice that provides a philosophical backing for the national legislation. Jim Perdue, heir and CEO to Frank Perdue's chicken empire, surely would oppose President Bush's latest 11th hour regulatory rule to exempt factory farms from federal reporting requirements for chicken litter emissions. Now I cannot speak for Jim officially, but he did not build an $11 million facility to convert chicken 'litter' into fertilizer pellets for no reason. 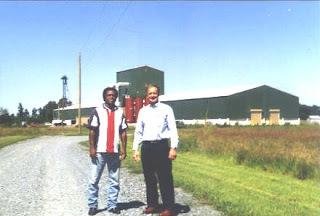 Of course this EPA rule is more about emissions of ammonia or hydrogen sulfide from manure pits or other farm operations than it is about nitrogen loads into the Chesapeake Bay or other water bodies, for which Jim built the facility. Yet the chicken litter pellet production facility solves both problems. Most people do not know that Jim is a scientist with a Ph.D. in Marine Fisheries. As a chronic, acute asthmatic, I, like EPA, want to know about the sources of emissions that might cause respiratory problems or deaths, but smog, not chicken litter emissions, is my real enemy. Now surely frat will support any reg that reduces paperwork and regulatory burdens, but his technology fix is the way to go. His Microstart60 product produced by Perdue AgriRecycle removes, dries and processes litter for reuse, which also reduces the ammonia or hydrogen sulfides produced from the manure. Now that President Elect Obama has selected his Energy Department Secretary, Steven Chu, we should probably look back to learn from history. "It's a sad characteristic of our society that energy issues get no political attention until prices run up. Then, as soon as prices fall, everything goes back to normal." Pictured above with AAEA President Norris McDonald. President Elect Obama has selected Lisa P. Jackson, left, to be the next Environmental Protection Agency administrator. She is currently chief of staff to New Jersey Governor Jon Corzine (D) and former head of the New Jersey Department of Environmental Protection. Obama has selected Steven Chu, right, to be his Secretary of the Department of Energy. Chu currently heads the Lawrence Berkeley National Laboratory. He is a 1997 Nobel Prize-winning physicist for his work in the "development of methods to cool and trap atoms with laser light." Obama has selected Nancy Sutley, left, to be the Chairman of the President's Council on Environmental Quality (CEQ). Nancy Sutley is a deputy mayor of Los Angeles for energy and environment. Obama has selected Carol Browner, right, to be White House Energy Czar. Browner was administrator of EPA for eight years under President Clinton. Similar to the Council on Environmental Quality, the Energy Czar will overseeing energy, environmental and climate policies. Loans from the Small Business Administration (SBA) Community Express loan program for women and minority small-business owners are being significantly reduced at the same time the list of eligible people has gotten much bigger. In fiscal 2008, the Community Express loan program accounted for about 1% of the total dollar amount that the SBA guaranteed loans and 9% of all SBA loans. Seventy percent of the loans went to minorities, and 47% went to women. Community Express loans fall under the SBA's 7(a) program, and they previously were one of the easiest and fastest ways for eligible small-business owners to get government-guaranteed loans. For example, business owners seeking to borrow $5,000 to $25,000 don't have to put up collateral. Loans for as much as $250,000 carry an 85% government guarantee -- much better than the 50% guarantee for a standard SBA Express loan, which is a 7(a) loan for small businesses that are borrowing less than $350,000. AAEA was doing green jobs 20 years ago. From energy audits and weatherization to water efficiency retrofits (fixing leaks and changing out toilet parts) and influencing policy decision making, AAEA was in the forefront of what today appears to be a new thing. AAEA audited, weatherized and installed water improvements in hundreds of homes in the 1980's. 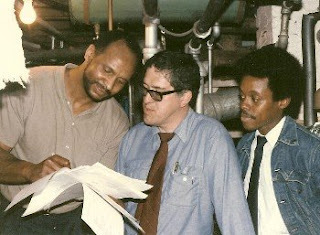 AAEA Vice President Derry Bigby and AAEA President are pictured at right with another technician (middle) in the basement of a home reviewing the results of an energy audit in 1988. Note the beard, mustache and afro. Today AAEA has expanded its scope to include a mix of energy sources. It takes a combination of energy sources to power America because our country is made great by having abundant supplies of energy at reasonable prices. AAEA believes in this ethic and supplements it with the belief that technology, combined with good policies, can keep the USA secure with reliable sources of energy. AAEA promotes clean coal technology, wind & solar, conservation and efficiency, natural gas and nuclear power. AAEA will continue to promote green jobs and sustainable development. We also work on toxics remediation, environmental justice and global warming mitigation projects. AAEA is also the only environmental organization in the United States that uses objective criteria in evaluating its support or opposition for development projects. We asked once and we are asking again, should African Americans participate in the coal business? Or should blacks join with mainstream environmental groups to end the use of coal as a fuel to produce electricity? Let us know. Regardless of your opinion, you should know that coal is currently used to produce 50% of America's electricity. If you want to shut down the coal industry you can contact the Sierra Club. If you're interested in getting into the coal business you can click here. Of course, the real question here is: will the established coal industry allow blacks in? Clearly the traditional environmental movement has big trouble in this area. AAEA is promoting a realistic model for using coal in an environmentally friendly manner that also includes the production of hydrogen and transportation fuels. The AAEA Energy Defense Reservations Program (EDR) would be extremely expensive, but considering the money being doled out to bail out antiquated businesses, this program should be the future. The federal government should direct $300 billion to the EDR Program, which would complement the green jobs program being promoted by President-elect Obama. AAEA supports green jobs and the use of coal in an EDR Program to satisfy America's dynamic electricity needs. AAEA was the only environmental group in the United States to support the Woodrow Wilson Bridge replacement and the Maryland Intercounty Connector (ICC). We support needed highway infrastructure projects in addition to supporting mass transit in order for traffic and people to move more effectively. We want mothers and fathers to get home faster to their families. We support the green jobs, including replacement of drinking water and sewer lines, that will be created by these construction projects. Traditional environmental groups generally oppose highway and bridge projects, as reflected in monolithic opposition to the Woodrow Wilson Bridge replacement and the Maryland Intercounty Connector. Will mainstream environmental groups oppose President Obama's plans to rebuild the nation's crumbling highways? Definitely. Of course the 'prominent' green groups will support the new president's efficiency and conservation plans, including the replacement of aging heating systems and installation of efficient light bulbs in federal buildings and schools, among others. Yet President Obama should be prepared for battle with the Washington, D.C.-based green groups on what is being described as, "The largest investment in roads and bridges since the creation of the federal highway system in the 1950s." Although AAEA is neither mainstream, traditional nor 'prominent,' we will aggressively support President Obama's entire green jobs infrastructure program. One of the most important members of Congress for promoting green jobs, energy security and environmental protection is Congresswoman Eddie Bernice Johnson, right. She is a science and technology aficionado and serves on the appropriate committees and subcommittees to implement her vision. She sponsored the best Braintrust [on Science and Technology] during the Congressional Black Caucus (CBC) Legislative Conference (See Videos). Although soft spoken, this former businesswoman, psychotherapist/nurse is one of the most powerful members in the House of Representatives. 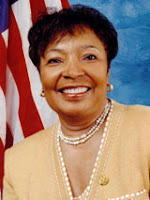 Congresswoman Johnson serves on the powerful Transportation and Infrastructure Commitee and is Chair of the Water Resources and Environment Subcommittee. The jurisdiction of the subcommittee consists of matters relating to water resources development, conservation and management, water pollution control and water infrastructure, and hazardous waste cleanup [Full Description]. AAEA is recommending to President Obama and to Congresswoman Johnson to replace the Combined Sewer lines with separate wastewater and stormwater lines. Congresswoman Johnson will be invaluable in any green jobs infrastructure plan to accomplish this important mission. AAEA will also be promoting the replacement of old drinking water lines. Congresswoman Johnson also serves on other very important subcommittees, including: Aviation and Railroads. She is also the third ranking member on the House Science Committee and serves on its Research and Science Education and Oversight and Investigation Subcommittees. The Black Enterprise magazine's 36th Annual Report on the Nation's Largest Black-Owned Businesses reports that such dealerships represent 31.1% of total revenues in this area. Fully one-third of the largest black owned businesses are at risk if the Big Three go under. Congresswoman Maxine Waters pressed the automaker CEOs appearing before the House Financial Services Committee on their plans for supporting these dealerships if the federal government provides them with bridge loans. Damon Lester, representing the National Association of Minority Auto Dealers, expressed concern about minority dealers being 'squeezed' regarding credit and fearful of being eliminated or taken over through consolidations. As is typical in responses from industry officials in matters of assisting African Americans, they were vague. If they remain 'vague,' the Congressional Black Caucus should vote against any bailout. Too much money is at stake to allow the Big Three to avoid addressing black-owned automobile dealerships. Now before those who believe there is no black community, no black-owned businesses and who prefer to ignore anything with a 'black' label on it, let us say that it is this very attitude that prevents these businesses from making America all that it can be. They do exist. They do serve black communities. They do provide jobs. And they are managed and owned by black people. Get over it. Just as the Big Automakers are in our nation's capital with cups in their hands, so too do black-owned businesses need help sometimes. If the Big Three are in trouble, you can be sure that the black-owned dealerships face eminent disaster. Yet some want to 'ignore' such plights because of the 'black' label. The black community and African American-owned businesses are as American as apple pie. Senator Obama supported cap-and-trade over taxes on carbon dioxide. He also supported auctioning carbon dioxide allowance offsets when in the U.S. Senate. He should maintain support for cap-and-trade and use the Acid Rain Program as the model where initial allowances are allocated to utilities and annual auctions are utilized as an indication of allowance prices. Let the market establish the price of allowances in a cap-and-trade program. AAEA supports the technologically efficient and environmentally friendly production of electricity in America. We support plentiful supplies at reasonable prices. Carbon taxes raise prices and AAEA opposes using price as a tool to force conservation. High prices hurt the economy, the middle class and the poor. Ralph Nader and some others support carbon taxes on large CO2 generators to raise the trillion dollars per year he estimates is needed in investments to retrofit against global warming. They offer to 'offset' the carbon tax by reducing income taxes. Well we should just reduce taxes anyway and forget about carbon taxes. We will need a public/private combination though that leverages the best of capitalism with some government support [see the AAEA/CECE Energy Defense Reservations Program] in the fight against negative climate change. At the end of the day, it will be purchasing power in the marketplace that makes or breaks America's climate change and global warming mitigation programs. President Obama expects to pass a $500 to $800 billion stimulus plan to jump start the American economy within his first 100 days in office. 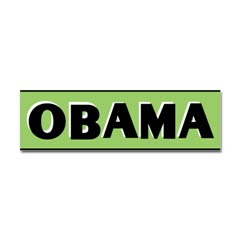 President Obama wants to get Congress to authorize $150 billion to create 2.5 million green jobs by 2010. AAEA supports President Obama's plan to create a wide variety of green jobs. We hope the plan will create green entrepreneurs in addition to creating green jobs. We also hope the plan will include an outreach component to include those historically excluded from these sorts of business opportunities. Obama's green jobs include weatherizing hundreds of thousands of homes, installation of smart meters and construction of a smart grid to monitor and reduce home, business and industrial electricity use, grants to state and local governments for mass transit, roads, bridges and other infrastructure projects. We recommend that President Obama should include separating Combined Sewers and replacing old drinking water lines in the infrastructure part of his plan. Although renewables tax incentives were included in the financial bailout bill, President Obama plans more tax breaks or direct government subsidies for a variety of clean energy projects, including solar arrays, wind farms, advanced biofuels and technology to capture carbon dioxide emissions from coal-burning power plants. AAEA hopes to gain support from the Obama administration for its Energy Defense Reservations Program within the carbon capture component of his plan. "Inspired by Booker T. Washington's work, this website will promote self-help, education, enterprise, democracy, and society as the seeds for Black America's future. Booker Rising will provide commentary, highlight our progress and achievements, and discuss moderate and conservative solutions to our communities' challenges." We are really impressed about how often Booker Rising covers environmental issues. Check out the Booker Rising Categories for "Environment," where well over one hundred stories have been posted. When Booker Rising features AAEA, our site hit count always goes way up. Hundreds of people view the Booker Rising site every day. Shay is a no nonsense moderator and freely comments with the Booker Rising commenters. So go often to Booker Rising and don't forget to DONATE while you're there. Southern California Edison (SCE) has announced completion of the first of its proposed 150 solar photovoltaic installations on Southern California commercial rooftops. The 600,000-square-foot Fontana, California distribution warehouse roof was selected as the first installation site and has been fitted with 33,700 advanced thin-film solar panels, making it the largest single rooftop solar photovoltaic array in California. The facility now generates enough power during peak output conditions to meet the needs of approximately 1,300 Inland Empire homes. SCE officials also announced the choice of their next solar installation site. The utility will begin construction soon atop a 458,000-square-foot industrial building in Chino, Calif., owned by the Multi-Employer Property Trust. Additionally, the utility announced that the solar panel supplier for the Fontana installation – First Solar of Tempe, Ariz. – is once again the winning bidder for the utility’s second installation. Southern California Edison is the largest electric utility in California, serving a population of more than 13 million via 4.8 million customer accounts in a 50,000-square-mile service area within Central, Coastal and Southern California.